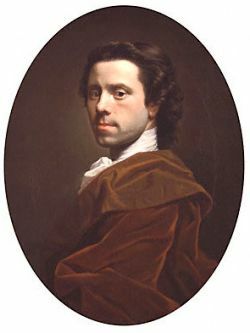 Allan Ramsay’s father was the famous poet of the same name. While the son never rose to the prominence of the father, here we are over 200 years later discussing the son’s paintings. Allan was born in Ediburgh, Scotland. He studied with the Swedish portrait painter Hans Hysing before leaving Scotland in 1736 for Rome and Naples where he studied under Francesco Solimena and Fransesco Fernandi. Ramsay returned home in 1738. 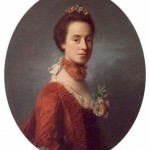 He painted portraits of many members of the aristocracy including several dukes, King George III and Queen Charlotte. In 1761, he became Principal Painter in Ordinary to the King, a position he retained until his death in 1784. 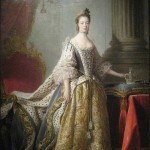 Portraits of the king were presented to ambassadors and colonial governors. Ramsay had to employ a number of assistants to keep up with the demand. After an injury to his right arm and the death of his second wife, he returned to Italy leaving behind 50 unfinished royal portraits. Ramsay wrote a number of pieces designed to raise arguments against a number of topics relating to history, politics and criticism published under the title of the Investigator. He campaigned for the abolition of slavery. He also wrote a pamphlet about the month-long disappearance of Elizabeth Canning “which attracted much attention at the time, and was the means of opening the eyes of the public, and even of the judges, to the real truth and explanation of that mysterious event.” He believed the English maidservant invented an outlandish story of being abducted to hide a pregnancy. Ramsay’s first wife, Anne Bayne, died in the 4th year of their marriage during the birth of their 3rd child. Neither of the other children survived past infancy. 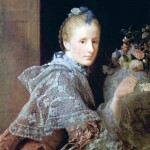 Margaret Lindsay, one of Ramsay’s drawing students, became his second wife in 1752. 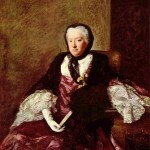 They had three children together and were married until the time of her death in 1782.